As you see from the latest blog, I’m no longer continuing with Aye Can but instead switching to a new social enterprise Ayecan Change. Thanks for support to those who have been with me. May your adventures be great and your time outdoors plentiful. Looking to rev up your metabolism, burn some fat and get fitter? 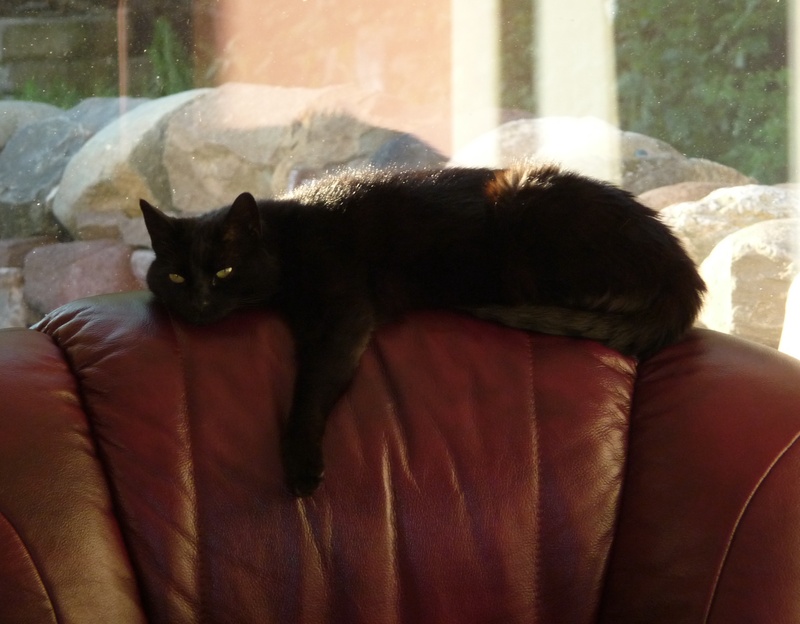 I’d love to be fit but I…..
Time to get up and go? You know the theory…being fit means more energy, more stamina, better health, improved mental alertness, stronger mental health.The benefits are endless. Aye Can works with you to set and achieve fitness goals that improve your wellbeing, using simple tools to motivate you and get you on track. This can be combined with managing your weight if appropriate. Sign up for some free tools to get you started. A fun , easy way to keep fit that can easily be fitted into your daily life. Beginner Workshops run when there are minimum of 3 people interested. Contact me for more information via the form below. Unless otherwise stated they run from Comrie , Perthshire 1-4pm on a Sunday. 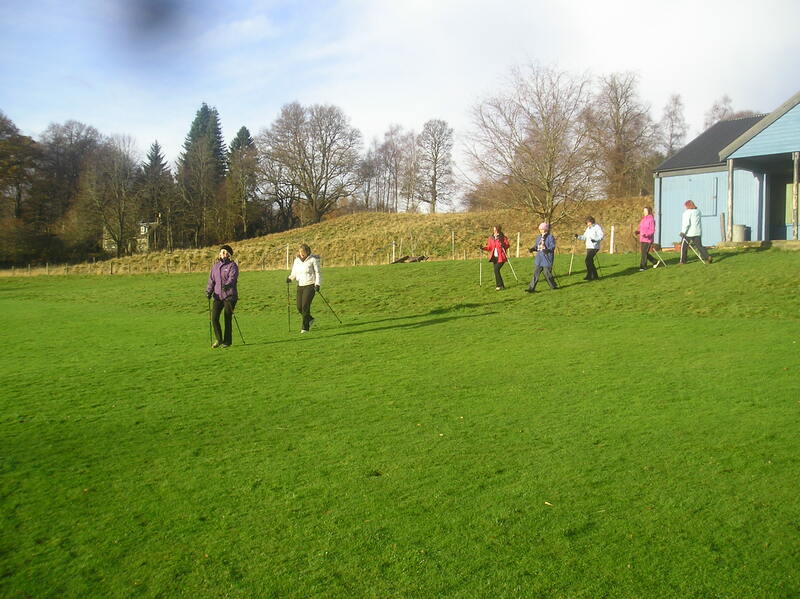 So what is Nordic walking? It is fitness walking using specially designed walking poles.Nordic walking exercises the whole body using 90% of the muscles in the body. The upper body gets a workout with the big muscles around the shoulders and neck being worked properly as well as the arms. Tension in these muscles is released and the spine is strengthened – this can help to ease back pain. Originating in Finland – as a way for cross-country skiers to train in summer, Nordic walking has taken off all over Europe.Part of the sport’s popularity is due to the health benefits involved. These are considerably greater than those of normal walking. As well as improving your endurance, strengthening and toning the muscles in the upper body, arms and legs, and releasing muscle tension in the neck and shoulders, Nordic walking also provides an excellent cardiovascular workout. You get your heart beating somewhere between 5-17 times more per minute than normal walking.Many of the benefits can be put down to the use of poles. These improve your posture and help you to walk faster, by propelling your body forward thus increasing the lengthof your stride. Simply using poles means you consume about 20% more calories than normal walking, and if you combine this with the effects of walking faster, you can actually burn up to 45% more energy than when you walk normally, according to some research. 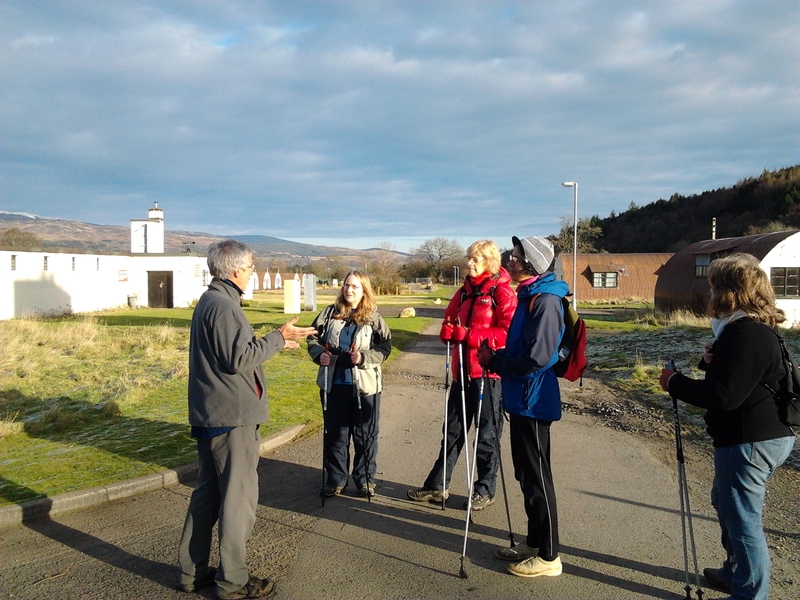 Tutoring by Fran Loots who is an International Nordic Walking Association qualified instructor (INWA) and Level 2 fitness instructor.Unless stated otherwise – workshops are run from Comrie. Contact Fran for details of the next beginners workshop or bring together a group of 6 for discounted rates.